Ideal Cold Storage solution for: supermarkets, warehouses for foodstuff and for fruit and vegetable, storehouses for frozen products, workrooms for ice-cream and confectionery, slaughterhouses, dairy industries, chemistry laboratories. GRANDE ROOM modular cold rooms have been planned as an answer to a cold storage market that requires high quality standards, adherence to environmental, hygienic and sanitary regulations, extremely fast and easy installation and competitive quality-price ratio. 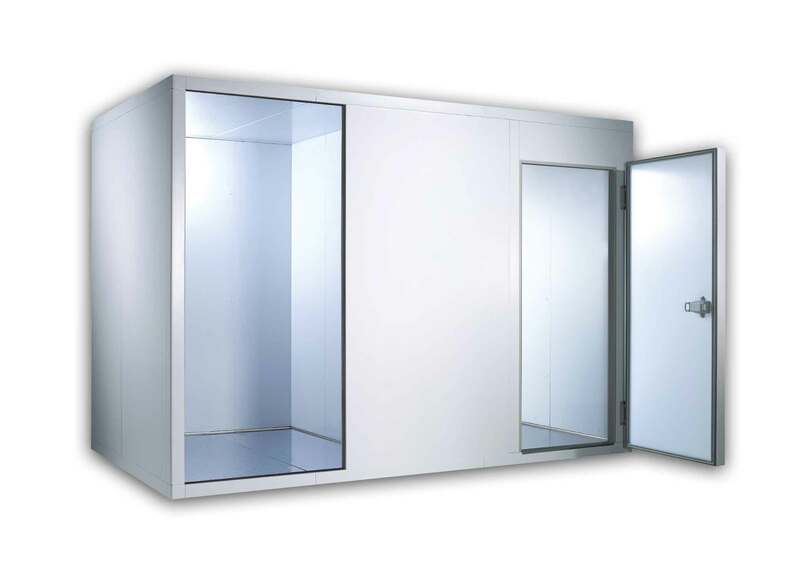 GRANDE ROOM cold rooms are available in 6 standard internal heights 2010 – 2210 – 2410 – 2810 – 3210 – 3610 mm and 3 insulation thicknesses 70 – 100 – 150 mm. The minimum internal dimensions of the colds rooms are 1810×1810 mm and can be enlarged on each side by means of 200 mm large modules. At WJ Kenyon we can build a cold storage solution bespoke you exact requirements. Cold rooms are available even without floor panels and provided with fixing profiles. 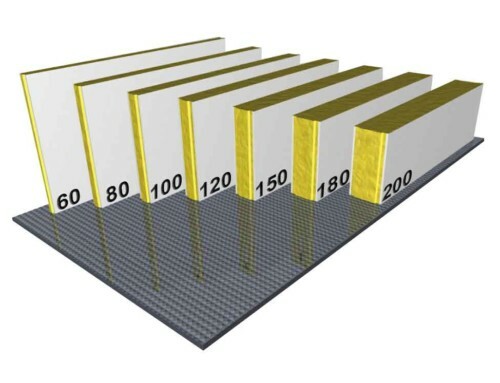 Inside partitions can be assembled in order to form several independent or communicating inner spaces.